ArmInfo. On July 18, RA Defense Minister David Tonoyan received the temporary charge d'affaires of the Republic of Poland in the Republic of Armenia Marek Reshut and the military attache of Lieutenant Colonel Krzysztof Mikolaek on the occasion of accreditation of the latter in Armenia. According to the press service of the Defense Ministry, the Armenian Defense Minister congratulated the military attache on his appointment, wishing him success in the performance of his mission. 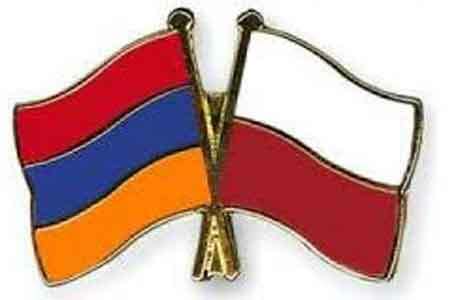 During the meeting, the prospects of the Armenian-Polish interaction in the defense sphere were discussed. Particular attention was paid to cooperation in the military-technical sphere.